A friend gifted this one to me yesterday...probably the oddest sand camo paint job I've seen yet on one of these...but it's named and has the third division flash on the left side. 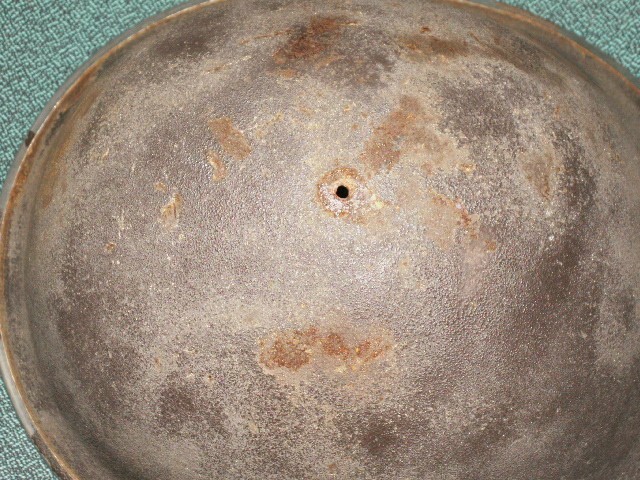 It is heavily sanded and painted dark flat brown. Almost looks like it has a camo effect to it but not quite sure. It looks like the sand was scraped off where the flash and the name were painted on...there is a definite ridge in the sand finish. It was left outside for quite a while and has active rust chewing away at it. It must have looked sweet before the elements got to it. Not sure what to think of this one yet but the price couldn't be beat. An attributed 3 CID Mk III is an awesome find, even if it is a bit "rusty". From the images it doesn't look that bad. Could be easily restored with the addition of a liner. The service number is from a serial allotted to No 12 District Depot, Regina. 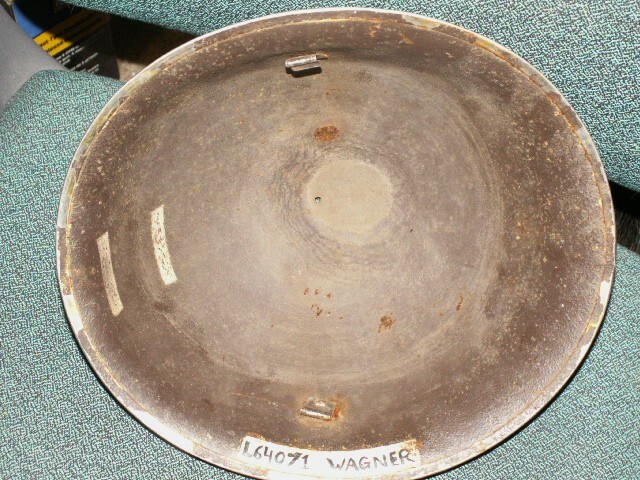 I just found Mr. Wagner on the Legions Last Post site...AND he listed as a member of the Regina Rifles! Sweet! That is a damned find helmet and I envy you this one! 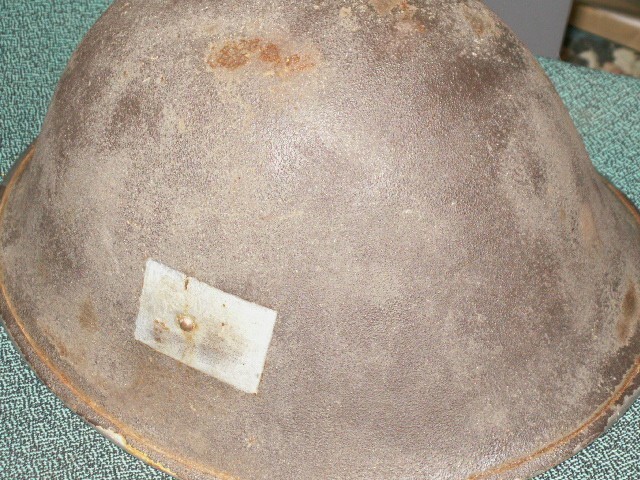 I have a very similar Mk III with sand texture and div patch, but no name. The star and # indicate two things. Firstly, he landed at D Day and secondly, he was wounded! I should of added this link. Wow! 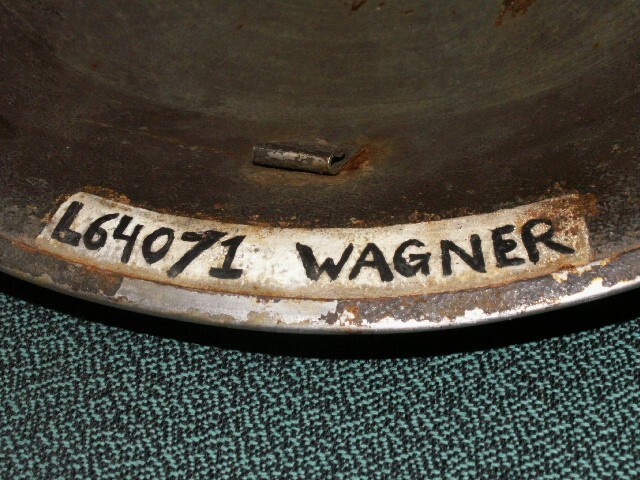 As it turns out, Wagner was taken POW on 9 June 1944 and released in April of 1945. 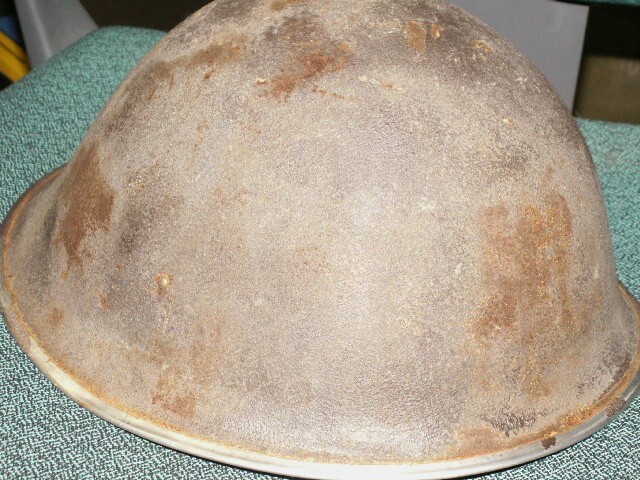 I wonder how is helmet made it back to Canada? Pretty cool! Holy crap! This is good! I called my buddy to see if he could remember where the helmet was obtained...no dice. It came from his Fathers farm in Sask. but he did not know any history on how they got it. He did not know Mr. Wagner. It is very strange it showed up back in Sask. I would have thought most of captured items were destroyed or buried. Maybe the Jerries did not have the time with the invasion force nipping at their heels and it was collected as the Canadians advanced? Who knows. I wonder if Mr. Wagner ever saw it again? 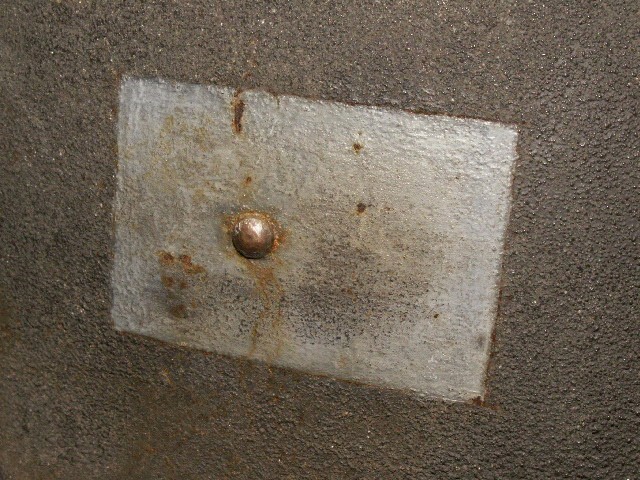 I forgot....should I put something on the rusty areas to kill the active rust? It looks like the rust is bleeding through old rust spots. I don't know if WD-40 or something like that would work...I'm deathly afraid of making the situation worse. Personnaly, I would leave it alone. Just wipe it down with a damp cloth and keep it in a dry place and it should be fine. I would be afraid that WD 40 or any other oil, will turn the paint dark.